Christian apologetics is the practice of providing a defense of the Christian faith. This will be both positive and negative; providing evidence for God and interacting with the arguments of atheists. This effort is meant to win individuals to the faith and to adjust the cultural perception so that Christianity is a reasonable alternative. But this will also mean that how the apologist conducts herself as both a Christian and an intellectual will matter. She will have to learn how to avoid being a hack as a Christian apologist. When people think of Christian apologetics, they may think of silly movies such as God’s Not Dead or that apologists are trying desperately to rationalize their faith. Since it is at least partially a religious practice, apologetics will generally have a negative stigma that needs to be overcome. The long-standing intellectual tradition of the Christian church is not what forms public opinions about Christianity. As apologists, we need to overcome the negative stigma and reform public opinion by avoiding some of the missteps of the hack apologist. Many apologists are probably thinking, “Okay, I have that down.” Typically they will read a few popular level books such as I Don’t Have Enough Faith To Be An Atheist by Dr. Frank Turek or laugh dismissively as they read through The God Delusion. They might read something about how good the evidence for the resurrection is and conclude that they are well-read. Well, this will certainly be a good start. But if you want to be a genuinely good apologist, you will need to go beyond these popular level authors. First, you will have to make a point to seek out and understand scholarly books and articles about apologetics. Scholarly books have a depth and precision that is simply not found in popular level books. Of course, scholarly books are more difficult to read and take longer. They will force you to think hard. If you are really committed, read some of the seminal works of philosophy in history. One approach to easily transitioning into scholarly reading is to find an author who writes both popular level and scholarly books on apologetics, such as William Lane Craig or NT Wright. Of course, do not get too caught up reading the same author. If you only read William Lane Craig, then you will become a clone of William Lane Craig. Further, reading scholarly work from a Christian perspective will definitely point you in the right direction, but if you are serious about not being a hack, you will need to read and interact with scholarly books by atheists, Muslims, pluralists, and other scholars who criticize the Christian faith. Then you may say that you have read height of scholarship disseminating from the other side and be taken more seriously as an apologist. Read scholars such as Graham Oppy, Quintin Smith, JL Mackie, Bertrand Russel, David Hume, et cetera. This one will have some overlap with your effort to read scholars of opposing worldviews. But the purpose of reading these scholars will not be so that you can say that you read them and found them wanting. It is also not to show how studious you are. It is not even necessarily to refute them. The reason that you will read these scholars is so that you can legitimately understand what they believe and why believe it. When you represent atheism, naturalism, Islam, or any other worldview, you should be able to represent it as accurately as somebody who holds those positions. If you do not make that effort, then you are likely to paint the other side with a broad brush and overlook some careful nuances to which your criticisms do not apply. 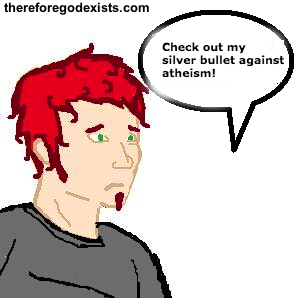 For example, if you are interacting with an atheist, you might mount an argument against materialism (materialism being the doctrine that matter encompasses the whole of existence) thinking that it applies to all atheists. But some atheists reject materialism or take no strong stance on it. That is just one (rather obvious) example. If you do not know about the nuances of atheism or the position that you are criticizing, then you might be guilty of hackery. Integral to the process of learning any discipline will be correcting your own errors and misunderstandings. Perhaps you mounted an argument incorrectly or you made a criticism that is not really valid. One of the chief signs of being a hack is that you refuse to let go of a point or argument even after being thoroughly refuted. You allow no room for nuance or change and you pridefully plunge onward into the abyss that is your failed argument and ruined reputation. Of course, nobody wants to say, “Ah, you got me!” in the heat of the moment. After all, you might think of something later that will restore your argument. Typically, sophisticated apologists are willing to admit when they do not know something and just say, “Okay, I’m not sure about that. I will do some research and get back to you.” If you are having a discussion on social media, that is probably not even necessary. You can just ignore them and do research at your leisure and respond when you can. Either way, admitting that you do not know an answer is not a sign of intellectual deficiency. It is a sign of maturity and the willingness to adapt and expand your horizon. When you do know the answer, you may come back to that person and ask their thoughts. Something else to consider is that these discussions do not always need to be in the context of a debate. You can just share your perspective without being adversarial. Then accepting correction will not be as embarrassing. When a Christian first learns about the arguments of natural theology, they may be tempted to overstate them in their excitement. They might proclaim that “The fine-tuning of the universe is definitive, 100% proof of God’s existence. #SilverBullet.” But if you are to represent these arguments like that, they will be far more defeasible. An argument that is pitched as an absolute proof will be more vulnerable to atheist strikes than the same argument that is pitched as a tentative probability. The best argument for God will be a cumulative argument. A cumulative argument will be an argument that has a number of different steps that when taken together will form a robust theological conclusion. The Kalam Cosmological Argument may yield 75% certainty that God exists, while the teleological argument yields 65% certainty that God exists. 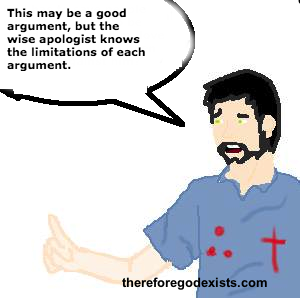 Either way, with each argument that scores greater than 50%, the probability of the existence of God will be enhanced. That is the most robust way to use an argument. Of course, that is not to say that a Christian cannot have a firm conviction that God exists. Her confidence in God’s existence does not have to correspond to the certainty yielded by her arguments. Until this point, I have mostly discussed a few behaviors characteristic of the hack apologist. But now I will shift gears and explore a few different methods. I am sure that you have probably encountered concordist apologetics and you may have represented it yourself. If you look hard enough, you might find it on this site (older articles). Concordist apologetics will say that some scientific truth was revealed in Scripture long before the scientific world knew anything about it. Some may refer to the roundness of the earth, the stretching of the heavens, or the compatibility between science and the creation account(s). They will conclude that since these scientific truths are revealed in Scripture that therefore Scripture must be from God. The problem with this is exactly the same as the problem with finding scientific truths in the Qur’an or any holy text of another religion. They are far too open to interpretation. The “stretching of the heavens” as found throughout the prophets is plausibly interpreted as a metaphor. The six days of creation are also plausibly interpreted as metaphors. Second, since the Bible is from both God and man, it will at least in part be a product of the culture. Written in the Ancient Near East, it is plausible to interpret cosmological claims within the context of Ancient Near Eastern cosmology. This will make sense of a lot of textual data. I do not have the space to go into it here, but I recommended reading Dr. John Walton’s books The Lost World of Genesis One and The Lost World of Adam And Eve. But if the biblical writers assumed and often outlined an outdated cosmological model, then it is probably not appropriate to use the concordist apologetic. Finally, just because an ancient text reveals a scientific truth does not mean that it is divinely inspired. It could just mean that they read an ancient philosopher who has disappeared from history or that they were particularly savvy. A keen understanding of science is not evidence of God, even if your understanding goes against the grain of contemporary discourse. Unlike our robust cumulative, classical apologetic picture, coherence apologetics would attempt to yield certainty about God’s existence. But this lofty goal should not mislead us. A coherence apologist will say that one will need to assume that Christianity is true to make sense of the world. This is because every other worldview will have some internal flaw, making it incoherent. But Christianity, you see, has no internal flaws and is coherent. It is therefore the only acceptable starting position. There are several problems with this approach. First and supremely, even if we grant that coherence apologetic, it may still be the case that God does not exist. A worldview can be coherent and still be false. So if you take this approach, you will leave yourself wide open to atheist strikes. Second, even at its best, it really only works in principle. That is why coherence apologists often spend more time correcting other apologists than they do debating atheists. Coherence apologetics is not so much about actually doing apologetics as it is about formulating the concept of apologetics. While exploring this as a theological debate may be an interesting sidebar, it could completely discredit you if you were to adopt it as a serious approach to defending the faith. One of the pitfalls of the apologist will be spend so much time studying philosophy of religion that she forgets to study theology. That is why this website is dedicated to defending not just theism but Christian, trinitarian theology. After all, if somebody comes to you and raises an objection to the trinity, you will need to know how to answer that. Further, the whole purpose of apologetics is to defend the Christian faith. When you have the opportunity to present the Christian faith, you need to be prepared. As you read more sophisticated atheists, you will come across objections to Christian theology. For example, how could Jesus be both God and man? God is infinite and man is finite. Therefore it follows that one cannot be both God and man. You will need something more substantive than merely, “There are two natures,” because they will see that one coming. Read philosophical books that defend orthodoxy such as The Logic of God Incarnate by Thomas Morris. You will also need to understand the biblical basis and philosophical exposition for the trinity, God’s sovereignty, the atonement, justification, and a host of other issues. Philosophical critiques abound and you need to be prepared. Immerse yourself in God’s word and good, theological and philosophical treatises. The fullest expression of Christianity does not necessarily need to be defended. If you are a Pentecostal, you do not have to defend continuationism, for example. If an atheist were to say that she could never be a Christian because the practice of speaking in tongues is so absurd, you might be inclined to say, “Yes, it certainly is. But you could be a Christian without speaking in tongues.” There are many other doctrines to which critics will object that are not at all critical to the Christian faith. As a Calvinist, I would ideally like to defend Calvinist theology. I think it is the most coherent and comports best with the biblical data. But still, if somebody were to become an Arminian Christian, I would rejoice because I now have a new Arminian brother in Christ. So if I exhaust all of my defenses of Calvinism and the objector is stubbornly refusing to relent, I may be inclined to use the nuances of the Christian faith as a defense measure. I may say, “This is not necessarily an objection to Christianity. I could concede everything you are saying and still be a faithful Christian.” Some arguments just do not need to be won before welcoming someone into the fold. The discerning apologist will know which hills to die on (the trinity, justification by faith alone, the resurrection and the atonement) and where a little ground can be conceded. If we focus on these central aspects of the faith before conversion, we might see more of an openness as the nonbeliever realizes that Christianity is more nuanced than she thought. I can see how, in overzealous piety, the Christian may object that Jesus said that we have to lay ourselves down. That means surrendering our will and our autonomy to the will of God. I understand that this would be a concern. But it is not as though we are approving of sin. They still have to lay themselves down and submit to Christ’s righteousness. Ironically, the apologist’s overzealous piety may be precisely what keeps someone from coming to faith. 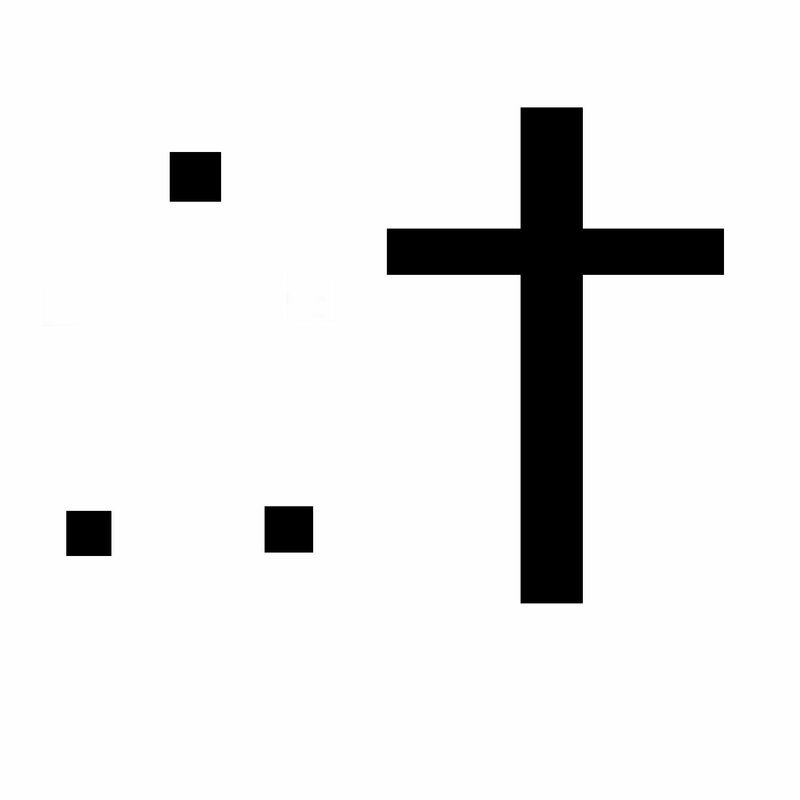 Here are a few Christian apologists who are not hacks.